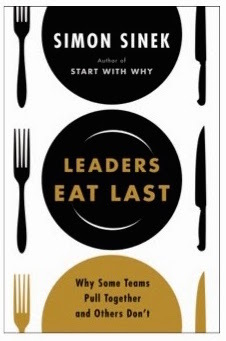 I reviewed Leaders Eat Last, a book written by Simon Sinek, for one of my client's blogs - just thought I'd share a link to the post here. Sinek writes about powerful and historical forces that have not only shaped our culture as a whole, but that also reign influence on our actions and interactions as individuals and as leaders. A very worthwhile read for any entrepreneur or business owner!